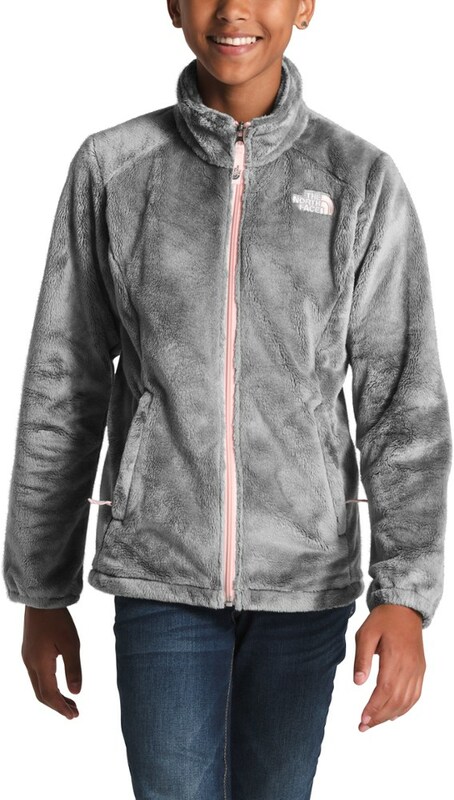 When the weather's just starting to turn around, she'll tackle cool spring days with just the right amount of warmth in the girls' Glacier Track fleece jacket from The North Face. 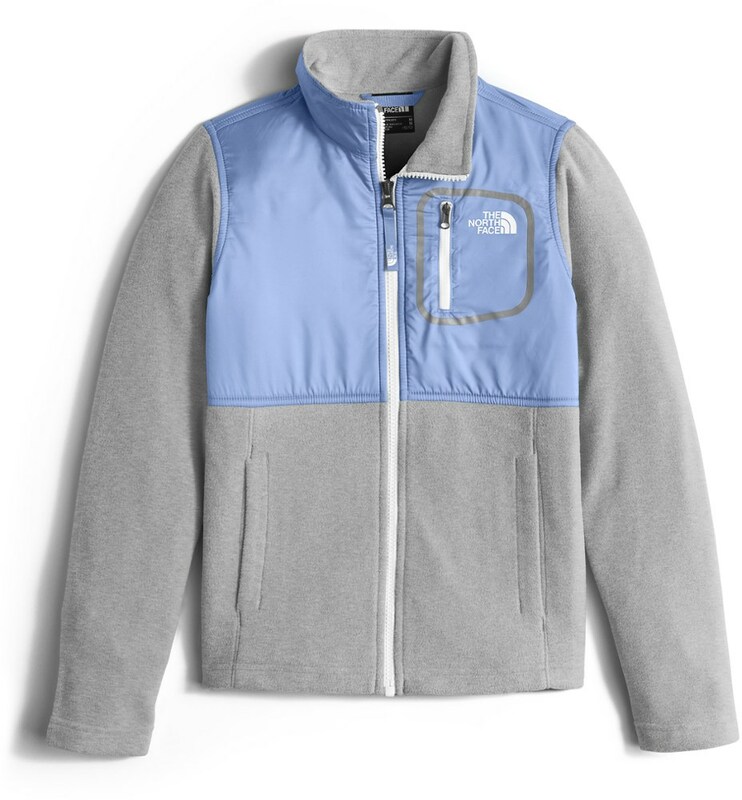 Best paired with a cool spring afternoon and the scooter of your dreams, The North Face Girls' Glacier Track Jacket provides style and warmth. Fashioned with a durable and pill-resistant fleece, this full-zip jacket features hand pockets that keep snacks and house keys close by while the water-repellent treatment resists light precipitation. CLOSEOUTS . A performance outer layer for chilly days, The North Faceand#39;s Glacier Track jacket has a wind- and abrasion-resistant taffeta overlay across the chest and shoulder, and cozy fleece everywhere else. 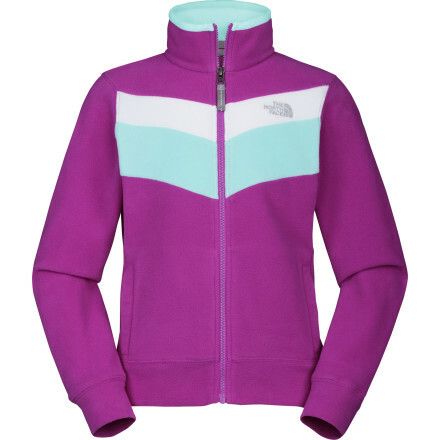 Available Colors: VIOLET TULIP PURPLE, LUMINOUS PINK, METALLIC SILVER, SURF GREEN, TNF BLACK/MAGIC MAGENTA, GRAPEMIST BLUE. Sizes: XS, S, L, XL, XXS, M, 2XS. 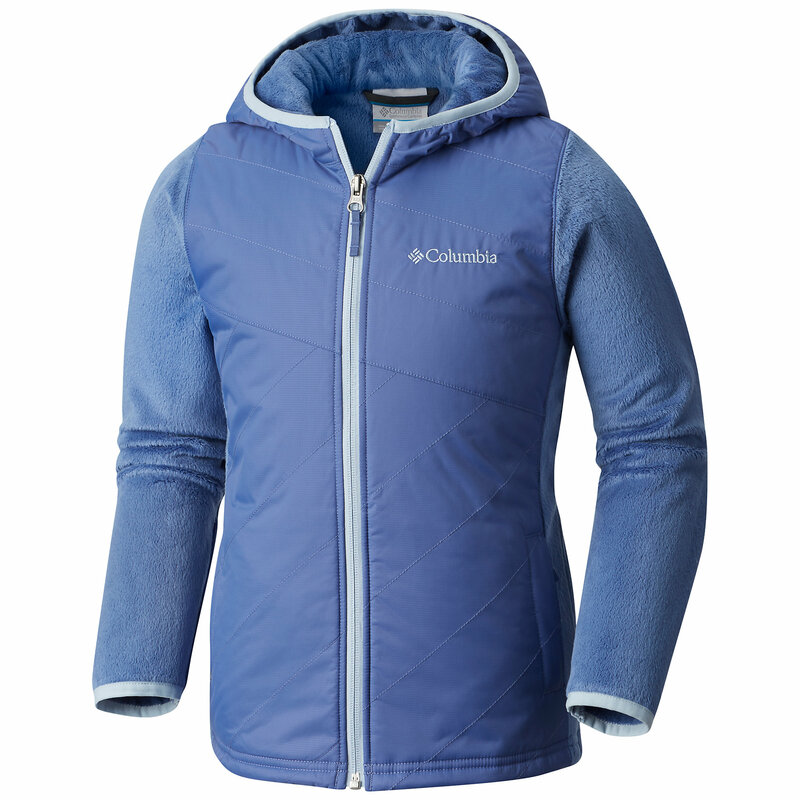 You'll need to call kids in for dinner repeatedly when they're wearing this warm, lightweight, and pill-resistant TKA micro-fleece jacket that features a tough, taffeta overlay for even more durability. Secure-zip chest pocket holds tissues and ID cards.. . 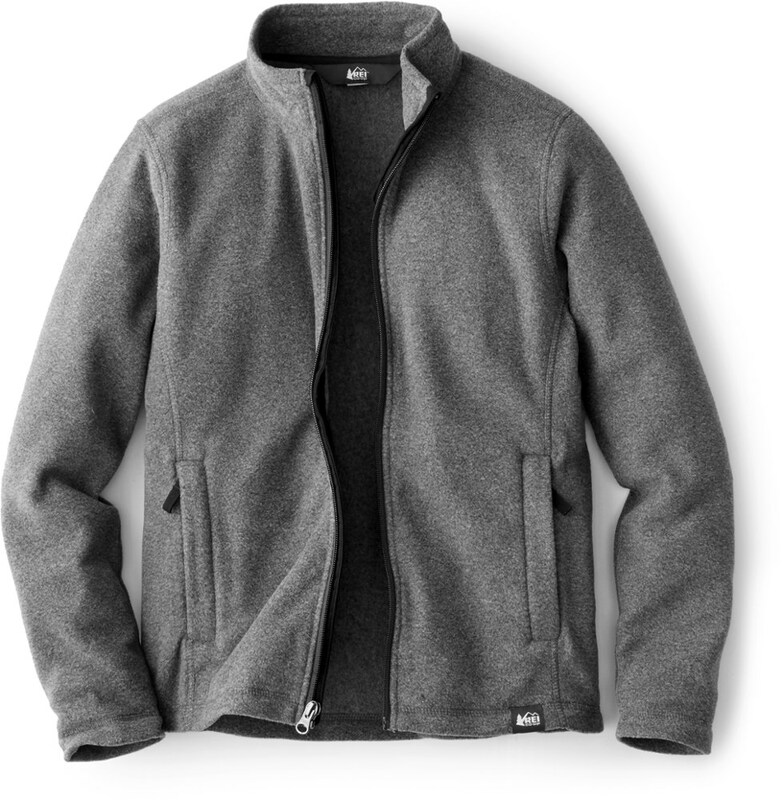 Body: 155 g/m^2 TKA 100-100% lightweight polyester micro-fleece. Overlay: 50D 75 g/m^2 100% polyester taffeta with a durable water-repellent (DWR) finish. Extremely durable, lightweight micro-fleece track jacket. Secure-zip chest pocket with screen-printed detail. Streamlined, welt hand pockets. Front and back logos. 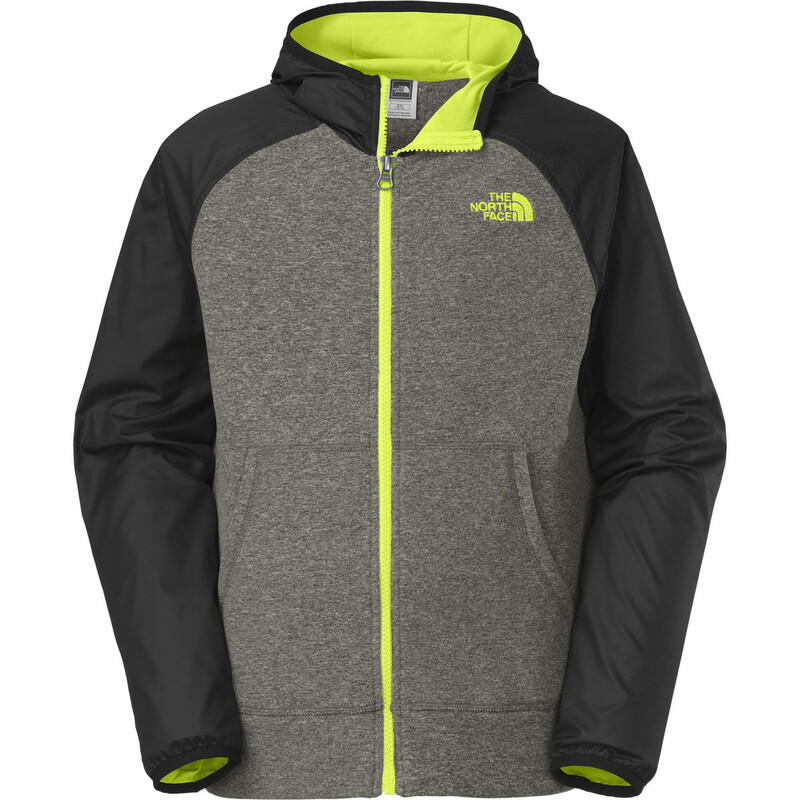 The North Face(R) designs its TKA (Thermal Kinetic Advancement) Fleece proprietary fabrics with superior insulation and wear resistance. There are three different weights offered throughout the product line, and a TKA Superstretch fabric that excels in aerobic activities.. Weight: 150 g (5.3 oz.). Center back: 21 in.. Products on Sale are Discontinued Styles or Colors.. Imported.